As we rush into December and the holiday season, sometimes we miss out on the opportunity to live in Advent, a season of expectation and wonder. Waiting in anticipation of Christ’s birth, we, as individual households, and as a larger Christian family, can take time to reflect and slow down during this holy time. The offering of #AdventWord provides a daily short reflection and visual meditation to guide Christians around the world to prepare our hearts and homes for the arrival of Christ. 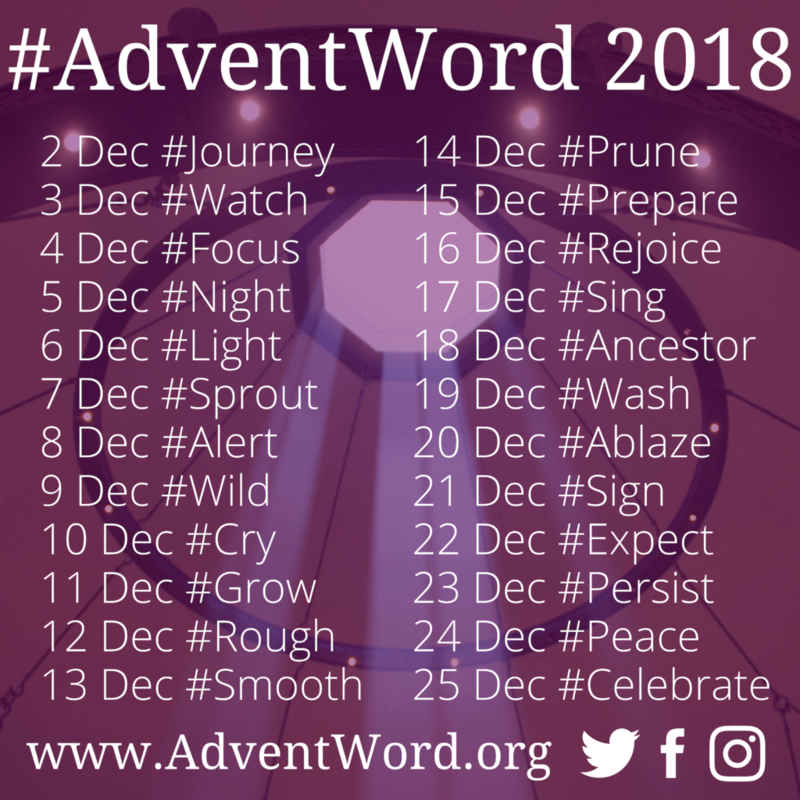 AdventWord started five years ago by the Society of Saint John the Evangelist, and for the second year is has been coordinated out of Virginia Theological Seminary. The daily chance to pause, reflect, and pray around a chosen word gives possibility for adoption and adaptation for households, parishes, and individuals. 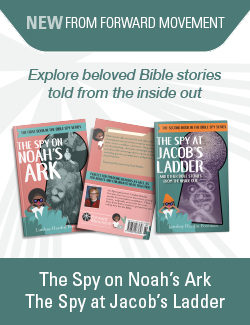 Christians around the world participate by reading, writing and posting their own visual meditations on how they see the word reflected in their own journey. The short meditation and visuals begin on the first Sunday of Advent and end on Christmas Day. Sent out each morning via email, Instagram, Twitter, and Facebook; communities are found on each platform posting, responding, liking, and sharing. The results are quite phenomenal! Contributions come in from around the globe, wide varieties of interpretations, in many formats and languages. Most of the contributions occur on social media, where participants can see a virtual Advent calendar of images and reflections. How can you adapt this daily reflection time into your own household? Advent Calendar: Does your household have an Advent calendar that opens up a new door every day? Combine this tradition with that of AdventWord, to reflect on the day’s word and what other associations up pop for your household. Breakfast time: During breakfast, read the word, look at the image, and then read aloud the meditation. Prompt your family to try to find the word throughout the day. Do a quick check-in on the ride back from school or during nighttime rituals. Advent Wreath Prayer time: One of my favorite family Advent traditions is lighting the Advent wreath while praying the weekly Advent collect. My family did this at dinner, but it really could be at any point during the day. In addition to the collects, add in the daily AdventWord meditations. Drawings: Some #AdventWord contributors are creative in their spiritual disciplines, and so they post collages, watercolors, doodles, drawings… and more! Have your littlest family members draw a picture or visual interpretation of what the word means to them! Household #AdventWord posting: Families end up taking a lot of photos throughout the year! Take the 24 days during this season to reflect back on the adventures, silliness, and tender moments your household documented during 2018. Make sure to ask what memories jump into everyone’s mind as the meditation is being read and then try to find them in camera rolls! If you post them on social media, tag #AdventWord and find us on Instagram, Twitter, and Facebook. How will your family observe Advent?